Norton Security 22.11 is now available via LiveUpdate. As with our previous updates, this version is being released in a phased manner. This update is available in all supported languages. To download it, simply run LiveUpdate. To verify you have the update for Norton Security 22.11, launch the Main User Interface, click on Help, and select About. Backup file versioning: When a file changes and the new version is backed up the user can now browse and restore previous versions of the file. 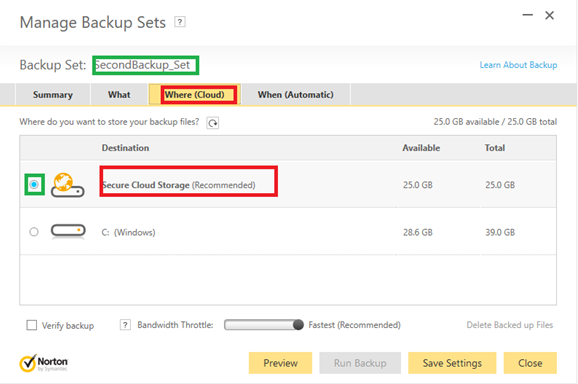 Now Online is the default location in the backup set (second backup set). WDSC integration: Product has been updated to provide the status of Threat Protection and Firewall in the new Windows Defender Security Center in the upcoming Windows 10 Fall Creators Update (Redstone 3) update.